How good is your daily nutrition? It’s almost a trick question, because the amount and variety of nutrients you’re getting isn’t limited to what you choose to eat, but where it was grown, how it was processed/packaged, how long it took to get to you, etc. Once you eat, the nutrients you get are limited another way: how well you absorb them. While certain conditions can limit our nutrient absorption, everyone loses some functionality with age, leaving us needing a little help. Even if you have a great diet, there are many factors beyond our control that limit how we meet our nutritional needs. And the truth is, nutritional variety can be hard to achieve because when things aren’t limited seasonally or otherwise there is more than we can cram in in a day. Fortunately, you can fill the gaps and guarantee some variety with a daily multivitamin like Vita One. A daily multivitamin takes away some of the worry that comes with aging, produce availability, and worrying about where and how it was grown. It’s a safety net that ensures our daily nutritional needs. A high-quality multivitamin like Vita One has bioavailable nutrients, making them easier for our guts to absorb and use, helping people with gut inflammation (Crohn’s, food allergies, IBS, etc.) or just a weakened, aging gut to get more nutrients. 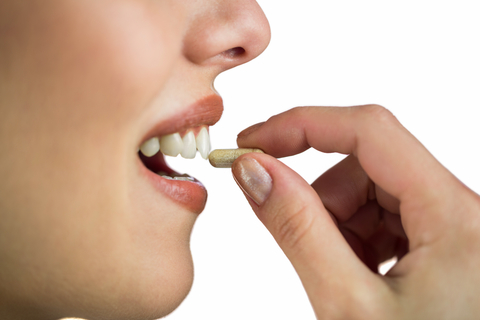 Everyone needs a good basic multivitamin, and it’s an easy way to improve your health, one day and capsule at a time. While some people might benefit from taking a few targeted multivitamins (for heart, liver, or other specific health support) in addition to a basic daily multivitamin, something like Vita One is a good place for everyone to start. Make sure you’ve got a daily safety net with Vita One.